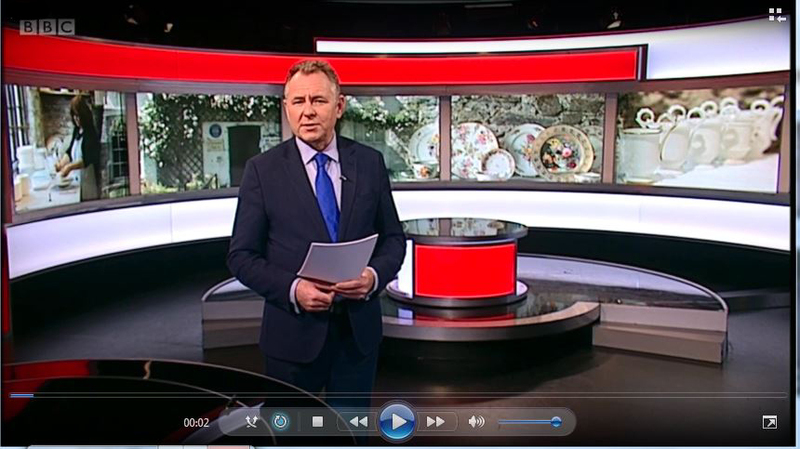 A team working at Nantgarw China Works Museum has successfully managed to recreate the recipe for the famous Nantgarw porcelain, last made two hundred years ago and regarded by many as the finest porcelain ever made. Nantgarw porcelain, invented by William Billingsley in 1813, was revered as being the whitest, finest grained and most translucent porcelain ever made; however difficulties in firing this delicate porcelain body in the bottle kilns resulted in up to 90% of the work being destroyed and the resultant closure of the factoryafter only four years of production. This original Nantgarw porcelain is now highly collectible with pieces changing hands for many thousands of pounds. Now, through a combination of methodical historic research, forensic analysis of shards and experimentation, the team based at Nantgarw China Works Museum has managed to recreate the original recipe and successfully fire new work from Nantgarw Porcelain. The project has taken place over the last six months and has been funded through a Research and Development Grant from the Arts Council of Wales as well as through an innovative Crowdfunding campaign run on the Art Fund’s Art Happens platform. The first items made from the porcelain are being made as one of the rewards for donors to the crowdfunding. According to project manager Charles Fountain the task has not been easy and the team has had to draw upon expertise from several universities, industrial chemists, current manufacturers of porcelains as well as specialist sculptors, mould-makers and slip casters. Examples of the new porcelain can be seen in a small exhibition at Nantgarw China Works Museum. The exhibition will run until the end of January 2018.